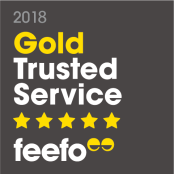 We have received the top award from Feefo for our outstanding service for the second year running, the Feefo Gold Service award, an independent seal of excellence that recognises that we at Suki Tea deliver exceptional experiences, as rated by our real customers. Feefo is a ratings and reviews, and customer analytics platform that provides the tools to collect genuine, purchase-verified reviews on behalf a number of businesses. Feefo ensures that all feedback is authentic, by matching it to a legitimate transaction; this is in order to increase consumer confidence, and combat the rising issue of fake reviews. You can have a look at what our customers have been saying about Suki Tea across our website on each product page, or over on our Feefo page linked here.